We stand on the shoulders of giants. Yet sometimes we don’t realise it, particularly when the insights of previous generations of researchers into ‘spontaneous cases’ – those psychic events occurring in the world around us – get quickly forgotten after the discoverers die. This article is intended as a timely reminder (pardon the pun) of how one discovery, made by an independent researcher over 50 years ago, turns out to be relevant to new directions now being taken by parapsychologists in the 21st century. 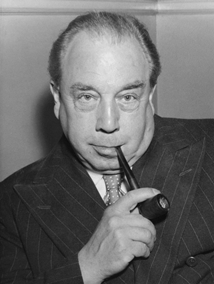 Still well-remembered for his many popular plays and novels, the serious interest that the British writer and broadcaster J.B Priestley (1894-1984) had in precognition is virtually forgotten today. Priestley considered himself, a ‘time haunted man’ who believed that the Western conception of time since Newton was not merely in error, but the ‘narrowest and worst that man has ever had’. Although he may not have fully understood the elaborate calculations and experiments of modern physics (which had superseded the classical Newtonian version of reality from the early 20th century), Priestley believed there was mounting evidence for precognition, and that people could see or even feel future events before they happened. This was an area that few physicists were prepared to venture into, at least publicly. Priestley believed evidence of precognition could be gathered from every day human life, and he compiled a remarkable collection of precognitive dreams and experiences. Many of these were gathered as a result of appeals he made in the press in 1962 and 1963, and also discussed on the BBC TV programme Monitor. Priestley asked readers and viewers to write to him about any precognitive experiences they might have had. There was a large response. Priestley received many hundreds of letters from viewers and correspondents, mostly about dreams. His many correspondents believed they had direct perceptions or experiences of events in the future which later proved true. 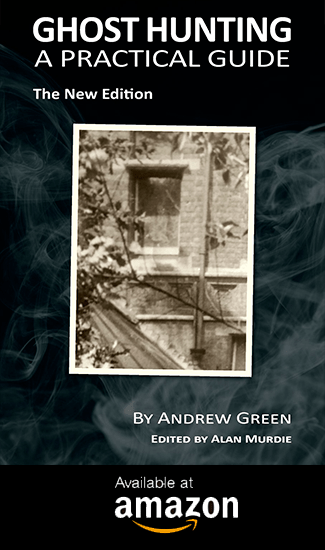 Subsequently, Priestley published a book, Man and Time (1964) where he discussed these cases and his theories. Importantly, Priestley’s collection of letters has survived intact, and was rediscovered in 2010 by the historian of science Dr Katy Price, lecturer in Modern and Contemporary English at Queen Mary College, London. 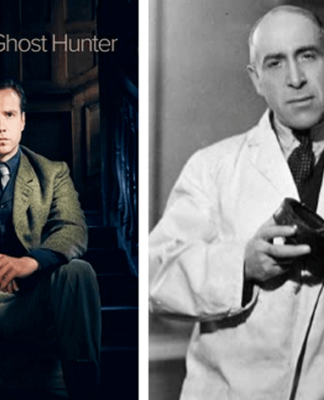 That it should have taken nearly fifty years for this collection to be examined, shows just how valuable psychical research collections can easily be forgotten, overlooked or never followed up, particularly if the original researcher leaves no successors. Going to Priestley’s book Man and Time, it is interesting to find that not all precognitive experiences were in dreams. Other examples include apparent changes in behaviour, where someone suddenly starts behaving in a way that is quite inexplicable on the basis of present circumstances (someone, for example, bursting into tears at the sight of a certain building which has no known associations for him or her) but becomes explicable in the light of what eventually comes to pass. Such cases are purely behavioural, and the subject is not conscious of what his or her sudden change in behaviour might portend. In these kind of cases, the apparent message from the future did not come in a dream or from any consciously recognisable information, but in a physical reaction within the body of the person. Priestley called this effect FIP (‘Future Influencing the Past’). Effectively, Priestley recognised the body could respond to future events before the mind did, and even if the conscious mind of the person not understand what was taking place until afterwards. No-one seemed to have noted this so clearly in collections before, but at the time Priestley encountered only indifference to his book and was in no position to take research any further. He could not be wholly ignored – he was a leading public figure – so his observation was casually noted, but official science seemed disinclined to do anything, and certainly not upset the existing models for understanding time. Priestley realised that when physics reaches its explanatory limits, the territory falls to be considered by philosophers. Accordingly, it was from a philosophical standpoint that he launched himself into attacking what he saw as ‘The Fortress’ standing for the combined forces of conservative scientific orthodoxy, conventional, unimaginative, ‘common sense’ and positivistic philosophy that dictate how we tend to think about time on a day-to-day level. The view of time that has been prevalent in the West since the 17th century is not one shared by other cultures in other epochs – the Ancient Egyptians, the Mayas, native Americans and Hindus, together with early and Mediaeval Christianity all embraced concepts of time different to our own. 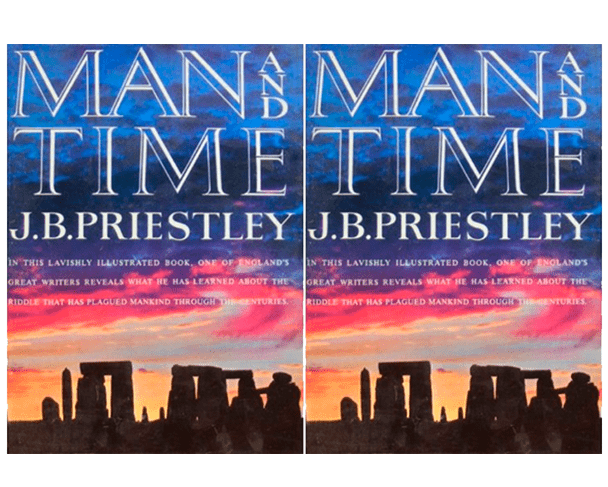 In Man and Time Priestley reviewed time theories from Newton down to Einstein as well as ‘Time in Fiction and Drama’ where he included some passing references to his own time plays. 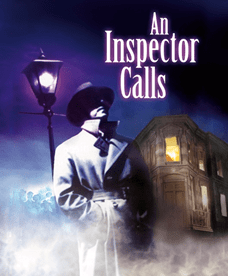 Of these, An Inspector Calls is probably the best known, although generally understood as a political play. Unfortunately, Priestley’s ideas and theories were soon forgotten. Priestley’s insight came more than a decade before work into possible physiological responses to future events began to be undertaken by parapsychologists. Researchers tentatively began looking at physiological rather than mental responses, occurring in the person’s body. These are detectable by instrumentation, occurring at an unconscious level, before an emotionally threating or arousing stimulus is consciously perceived or arises. The body seemingly reacts ahead of the mind, and even before the cause exists in present time. This area became of growing interest in the 1990s, and research was renewed in the 21st century by Professor Daryl Bem of Cornell University. For those unfamiliar with this research announced in 2010, Professor Bem reported positive results from tests involving nine different sets of experiments into pre-sentience, indicating how the human body reacts to stimuli that have yet to arise. The impact was heightened by the announcement that these results were to be carried in the prestigious Journal of Personality and Social Psychology, a publication enjoying an international reputation as the world’s leading journal in its field, known for imposing stringent standards on contributors. The appearance of Bem’s paper in such a prestigious journal could not be dismissed, and it received widespread media coverage on both sides of the Atlantic, forcing sceptics to take notice. Critics of Bem’s conclusions have broadly accepted that he was working to the established scientific rulebooks and obtained significant results. Six years on from its publication in November 2010, the research into pre-sentience – literally ‘feeling the future’ remains a major challenge to the materialistic models adopted by many in psychology and the social sciences. As of 3 July 2015, Bem’s paper had been cited in 342 other scientific journals. Importantly, a research foundation has been now established to examine and verify these effects. The Theoretical and Applied NeuroCausality Laboratory (TANC Lab) is recently formed non-profit research lab in California that merges theoretical physics and experimental psychology to examine the multitude of questions thrown up by this phenomenon. Their goal is to design rigorous experimental protocols to test whether unconscious knowledge of future information can be detected through behaviour and physiology (e.g., EEG, pupil size and skin responses). The ultimate aim is the development of software and technology that use these unconscious signals to predict meaningful real world events. The example of Priestley identifying a behavioural effect in precognitive experiences from accounts from members of the public illustrates how the collection of spontaneous cases could provide a starting point for such empirical studies in the laboratory. This is so, even though the cases were collected over half a century ago. After all, it is how science works in other areas. Curious observations are made in the world at large, often over long periods. These may be declared impossible or dismissed as superstition by the science of the day (meteorites and ball lightning are two oft-quoted instances). Examples accumulate, prompting further research and eventually closer examination. It is then realised that a discernible and ultimately recordable and testable phenomenon is taking place, leading to experiments and new insights. But it all begins with noting the anomalous, strange and the ‘impossible’, and noting patterns arising in such accounts. This is what Priestley did with his idea of FIP – Future Influencing the Past. Parapsychology is now finding he was on to something, whatever the ultimate explanation might be. Priestley, J.B (1964) Man and Time. Aldus Books, London. http://tanclab.org/ and http://tanclab.org/feeling-the-future-of-bems-findings/ for an article by Michael Duggan who undertook a meta-analysis of similar research. 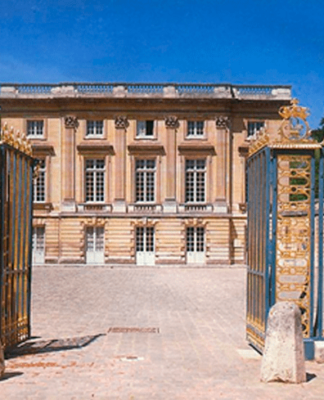 Previous articleWHAT HAUNTS THE SOMME AND OTHER FIRST WORLD WAR BATTLEFIELDS? 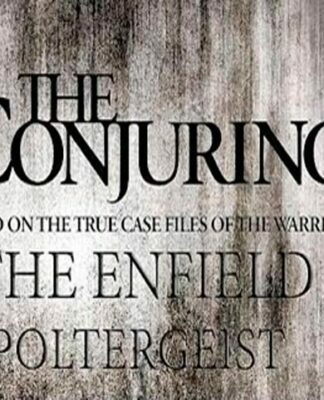 Next articleDoes this photograph show a ghostly girl?